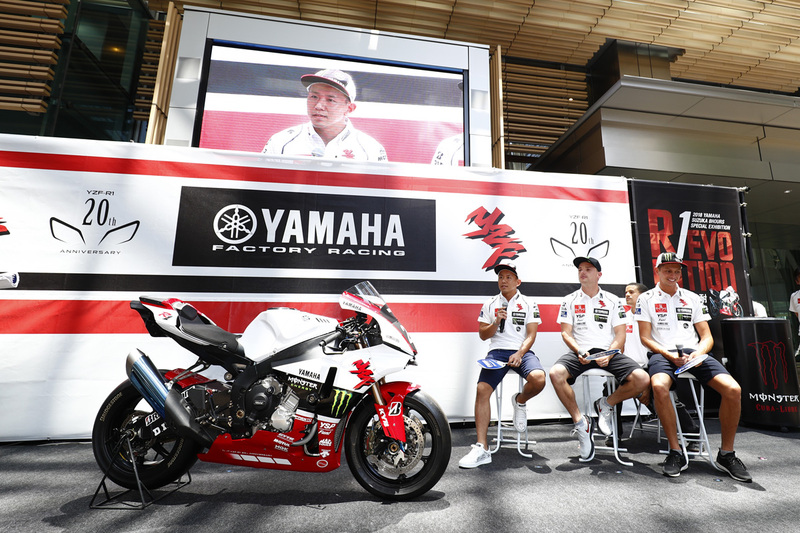 July 25, 2018 –Yamaha Motor Co., Ltd. held the 2018 Yamaha Suzuka Special Exhibition R1evolution event at the Tokyo Midtown complex on July 24, 2018 in Roppongi, Tokyo to connect with and entertain fans of Yamaha and the Suzuka 8 Hours. 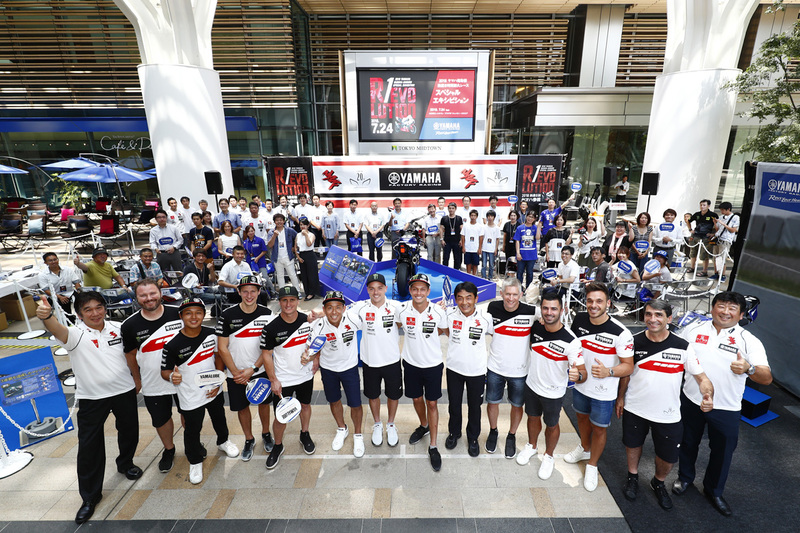 Attending the event were the team managers and riders of the Yamaha Factory Racing Team, the GMT94 Yamaha Official EWC Team and the YART Yamaha Official EWC Team, all of whom will compete in the 41st “Coca-Cola” Suzuka 8 Hours set to kick off in two days’ time. The event featured a talk show and other activities aimed at thanking fans for their support and showing Yamaha’s determination to secure a fourth straight win and the EWC title at this year’s race. Set up for the entire duration of the event were exhibits to allow people not familiar with motorsports to also enjoy the event, including a photo booth, where fans could have their picture taken on one of the winning YZF-R1s from the past three 8 Hours, and a virtual reality experience of riding at Suzuka Circuit. Also, the YZF-R1 for this year’s 8 Hours was on display in its special red and white 20th anniversary livery—an homage to the first-generation model—and the event as a whole vividly illustrated the appeal of motorsports to a wide audience. Following the event, the three teams left Tokyo and headed for Suzuka Circuit, where they will contest this year’s race set to begin on July 26 (Thu. ).